We started getting busy working on our next big event (watch our page for the announcement!) 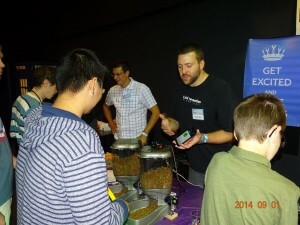 but a recap of the Des Moines Mini Maker Faire is better late than never! We just wanted to say thank you to the Science Center of Iowa for hosting an amazing inaugural event. 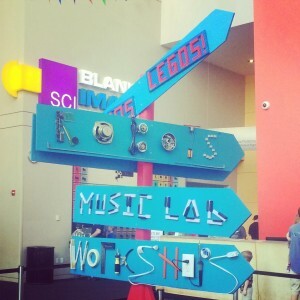 We had over 2600 people in attendance, over 30 maker presenters, 9 workshops, 9 bands, at least six robots, hundreds of thousands of LEGOs, a geodesic balloon dome, and constant laser shows. All in all, it was a BLAST and we were glad to be a part of it. We can’t wait to see what’s in store for next year! As for our booth, we were jam packed in. Next year we’ll have to get at least twice the booth space! 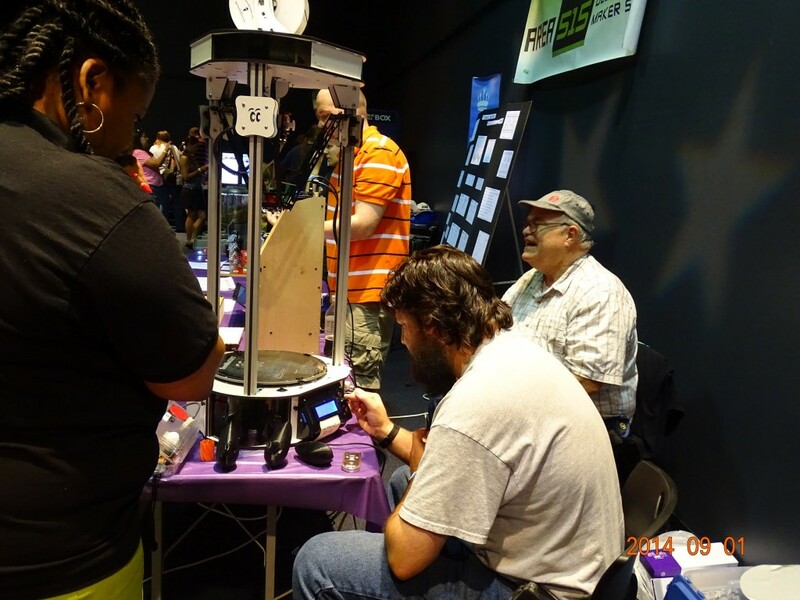 We had Ray and Sean showing off our various kinds of 3D printers along with examples of what they can print. 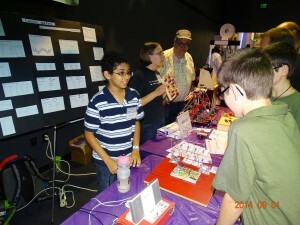 Our youngest maker, Prithvi, built a digital adder and had the research behind him to prove he knew what he was doing. He did a great job of explaining it to visitors and teaching people how to add in binary. We had more Arduino projects than we could fit on the table. Brandon brought web shooters he built for his friend Spiderman and a dog feeder he built so he can feed his dogs while he’s not at home. 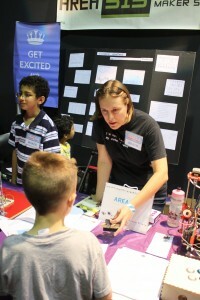 Here, Bailey explains how a bristle bot works and drummed up interest in maker resources and what Area515 has to offer. 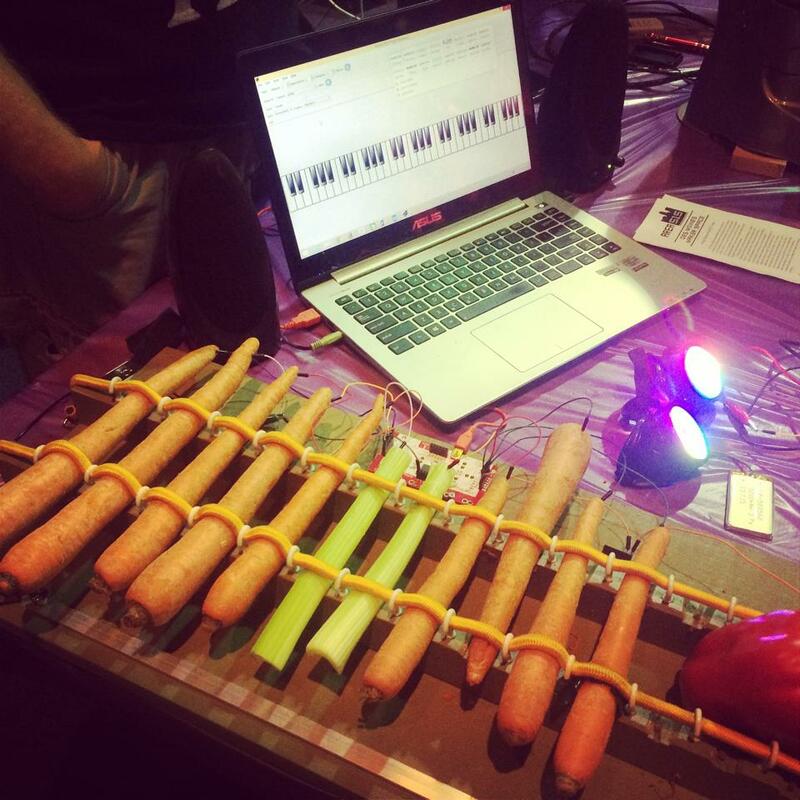 And last but not least, Tom’s new and improved Carrot Piano Mark IV. It’s now robust enough to withstand a day’s worth of enthusiastic keyboarders!